The Media Create charts have rolled around once again, having brought some positive news for Nintendo in recent times; pleasingly, that trend continues. To start with software we have two 3DS games and a Wii U title leading the way - Rhythm Tengoku: The Best Plus is top (maybe thanks to its awesome commercials?) on 3DS, while the snappily titled Return to PopoloCrois: A Story of Seasons Fairytale makes its début in second place. Splatoon is still shifting rather decent numbers in 3rd place, while mainstays such as Mario Kart 8 can be found further down the charts. The top 20 - with lifetime sales in brackets - is below. Moving onto hardware we still have Nintendo hardware at the top. The New 3DS LL (XL) is now leading, with that strong position improved once the three other portable models are added. Despite a drop of nearly 1800 units the Wii U holds onto second place overall, making it the top selling home console in Japan for another week; the results are below with last week's sales in brackets. Positive momentum for Nintendo in Japan, then, with Fire Emblem If - now known as Fire Emblem Fates in the West - arriving in the country this week and no doubt set to have an impact in the next set of results. Does Yoshi's Woolly World drop this week for Japan as well? Hopefully they get great results on Fire Emblem If, will they count both games as the same or split them up? I can't recall for the likes of ORAS/XY. I don't get jealous of Japanese gamers much anymore, but I'm feeling it big time right now between Rhythm Tengoku and Fire Emblem being out/about to be out over there. I really hope we get RT over in the West. At least in the GBA days we could import them, but that's no longer an option. That hardware chart is miserable though, and probably means there won't be too many more occasions in the future where I'm jealous of Japan as they'll all be on mobile with the only console/handheld stuff coming from the West! The xbox numbers remind me of that cat clutching a rope...HANG IN THERE! I have a friend who is a big Rhythm Paradise (Rhythm Heaven) fan, who is currently worries about whether this new entry will get released worldwide. With it managing to be top of the charts for two weeks in a row, this should hopefully encourage Nintendo to deliver a worldwide release, and finally set my friend's worries at ease. I'm glad to see Splatoon is still doing really well over in Japan. Wow, Nintendo is dominating the top 20 again with 13 titles for its systems. Still not seeing that huge drop off for Splatoon! I can see it selling 500k in Japan and 2 million worldwide by summers end. Evergreen I tell ya. I am glad to see Splatoon is still fighting the good fight. I wish I could see US and EU numbers. They have not posted any in a LONG time. Does anyone know where to find them? @BLPs You're missing context. They said they wouldn't greenlight sequels to new AAA games if they sell sub 2mil. A last gen remaster doesn't qualify. I'm sure this sold in line with Capcom's expectations. It did about as well as the DMC HD Collection for PS3 and DMC3:SE for PS2. @ThomasBW84 - "Yoshi's Woolly World arrives in Japan in mid-July"
Well that's a whole lot better than Oct 16. All us 'Mericans need is shootin' guns to get us thru the summer I reckon. I bet Reggie uses the term "red-necks" derogatorily at least 3x a day. Probably double that during E3. Him and Obama would probably get along well. @BLPs - "And can the world stop using the term AAA? Budget isn't indicative of quality." No, but we know that, we also know AAA is indicative of budget and everybody knows what it means - interactive movie cut scenes, years of development, at least 1 release delay, and a multimillion $ budget. Nobody equates AAA w/ quality, it's ok to keep using the term as long as we all know what it means. See "The Order: 1886". @garthvader Nintendo put out a press release today. 476k in the Americas and 230k in Europe, 20k in Australia. Well, Splatoon is a hit, but I still wish it were a bigger hit. Around 10% of Wii U owners bought a brand new IP and an odd one at that. Good on them. I think the buzz is still growing on it, honestly and at least in Japan it seems to have serious legs. Do you think they are planning Splatoon NX? 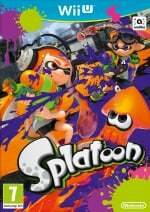 The thing is, Splatoon isn't fully realized yet! Who knows what the community will like best from it, as we've only got two modes. I think rainmaker has good potential and just that slight shift in the ranked battle changes gameplay significantly. If it is indeed a Wii U replacement as it is looking to be, I'm starting to really hope NX is 100% backwards compatible with Wii U. Maybe make a new streamlined GamePad for $80 that lets you play ALL the Wii U games. If NX is compelling on its own, having a library of Mario Kart 8, SSB, Splatoon, Star Fox, Pikmin 3, Donkey Kong Country, Super Mario 3D World right at launch is going to be just as good as if they were brand new games to many, many people who have looked on from the sidelines. Could be an amazing launch and I think the majority of people would buy the GamePad as a peripheral in that case. It also seems like the only plausible way for Nintendo to have a console launch at all by the end of 2016. Honestly, I'd buy in immediately and get Zelda for NX as that would be a given in that scenario. @BLPs - We live in a world of labels, what can I tell ya? Similar to you I hate the word "indie". Indie has such a broad meaning (much broader than AAA I believe) that I find it completely worthless, but everyone uses it like it means something. On the limited eShop alone, not counting the broader world of gaming on PS and Xboxen, we have 99c Flappy birds clones alongside $20 Affordable Adventures and Swords & Soldiers 2. Also Nintendo games like Pushmo - which look like indies - for $10. Ubisoft made $15 "Child of Light" which looks just like an indie to me. Popcap continues to make Peggle and PvZ games (Peggle is on 3DS, close enough) but they are owned by EA so aren't indie at all. I think if someone wants to use the term "indie" to describe a smaller company, as in "they are an indie", that's ok, b/c indie team equals small. But when it comes to games "indie" both includes such a wide disparity while also excluding a similar variety that I view it as utterly meaningless. "Indie game" means nothing to me. Might as well just say "game". Or "Digital/download only game" if it isn't coming to retail. No Man's Sky looks beautiful, that's an indie like Frenchy Bird or The Letter? I know what AAA means, it means - "game that isn't coming to Wii U"
@Peach64 Which also shows that there's about 50,000 digital sales in Japan based off this and the press release. Seems Japan prefers physical. Either that or they aren't aware of the eShop enough. @aaronsullivan - Know what's wrong w/ this paragraph? "If it is indeed a Wii U replacement as it is looking to be, I'm starting to really hope NX is 100% backwards compatible with Wii U. Maybe make a new streamlined GamePad for $80 that lets you play ALL the Wii U games. If NX is compelling on its own, having a library of Mario Kart 8, SSB, Splatoon, Star Fox, Pikmin 3, Donkey Kong Country, Super Mario 3D World right at launch is going to be just as good as if they were brand new games to many, many people who have looked on from the sidelines. Could be an amazing launch." If you replace Wii U w/ Wii and NX w/ Wii U, you have almost all those Wii games playable on Wii U at launch, yet Wii sold 100m while Wii U has still only sold 10m. And Wii U is the only BC (ATM) console this gen, yet PS4 has more than doubled its sales. Like you I also think NX could be Wii U 2, but it's hard for me to put any stock in BC meaning something after what we've all witnessed over the past 2 1/2 years. Though I suppose w/o BC it could sell worse than Dreamcast which I think Wii U may have finally surpassed w/ Splatoon. Apologies for my constant differing opinions of late. I know BC looks better from Wii U to NX than Wii to Wii U b/c 100m people already owned those games on Wii so they had no reason to buy Wii U, and then only 12mil Wii U owners mean the other 88mil Wii owners may gen hop and get NX to play the games they missed. But that's only if they all haven't purchased PS4 by then. @garthvader 9.54 million as of March 31st, 2015. So probably 9.6 now. Edit: Ok, never try to do math before you have coffee first thing in the morning. It should be somewhere between 9.6 and 9.7. NintenDOMINATION. Japan really is a wonderful country with great taste. @IceClimbers As of May 16th VGChartz said 9.7 Million and sometimes they lowball numbers so I was hoping it broke 10 mil by now since Splatoon came out. It seems to be moving systems in Japan so I would hope so in the US and Europe as well. So glad to see Splatoon still going strong. Hopefully this helps Nintendo realise that great new IP's can sell systems, rather than the same old boring 2D Mario, Smash Bros, Mario Kart, etc. I am pretty sure that the Wii U is almost at the ten million milestone, with 35-40% of those being in the United States alone. At last count, the PlayStation 4 is between 22-23 million worldwide whilst the Xbox One is a good ten or eleven million behind its nearest competitor. Japan is becoming increasingly irrelvant by the day (in terms of sales), but any kind of good news for Nintendo is good news. Just checked my email, YWW is waiting for me at home (Nintendo UK store always send way early ironically)... I can't wait to hear all the different European accents Yoshi has that you Americans are protected from. I do remember being excited at finding a US import of PokemonRuby which US got ages before UK, however, I don't feel comfortable us getting it before Japan, NoJ is up to something... Maybe the Wooly Amiibo have a built in virus that'll excile us for good? I still dont understand why they wouldnt just announce Rhythm Heaven for the west on the E3. The game requires very little localization effort anyway, unless the GBA title had too many songs with lyrics, and we all know how sorely lacking of announcementes that Digital Event was. Agreed. Rhythm Heaven needs to be localized, and it should ideally be released this year, in time for the holidays. The rhythm gaming genre has pretty much vanished, but with this year's revival of Guitar Hero and Rock Band, Rhythm Heaven could be the 3DS equivalent. It would have a market to itself; that's for sure. Well, I see it a bit differently, yes. The Wii U games have gotten attention in a different way. I always see it dismissed with a caveat. Nintendo is delivering games people want but there is too much of a stigma from Wii and the GamePad is seen to be gimmicky like the motion-controls that were invented only for casuals. Those dirty casual gamers. Anyhow, I think the scenario differs in that these games have a cool-factor even for the core gamers. They just don't want to buy-in yet. They are waiting for the AAA Metroid or Zelda to convince them that Nintendo still gets the core gamer - personally, they have been serving my inner core gamer just fine, but all that stupid pretense rarely effected me. The almost complete lack of third-party support just strengthens the resistance. That's the theory anyway. I certainly see consistent evidence in non-Nintendo fan circles. My theory only works if NX is directed at core gamers, and I think from previous Nintendo comments and their focus on competitive gaming Nintendo is positioning themselves for just that. Also, of course, NX has to be a console with performance close to on-par with PS4 and XB1. Yep, that's technically still behind the curve, but with some miraculous convincing and ease of development and porting, maybe third parties could get behind Nintendo again. All sorts of presuppositions in the scenario. Biggest one being a dedicated console, which is still up in the air for me. Really not sure what Nintendo is going to do here, but whether it's a console or not, I'm thinking it is going to draw development away from the Wii U in a big way, so... I kinda hope it is. I strongly prefer console gaming. @BrizzoUK - "Maybe the Wooly Amiibo have a built in virus that 'll excile us for good?" Great to see Splatoon holding well. Hope it continues with this legs for a long time! Okay, Nintendo, now can we also get Rhythm Tengoku: The Best +? Pretty please? @rjejr It feels valid, Dan Brown is fact after all. I sense no virus, however, I now have a Captain Falcon Yoshi... I feel this game justifies amiibo now. @garthvader For North America you can usually get numbers from NPD leaks. NPD don't make the numbers public as you have the pay them for it, but there enough leakers out there to get the right numbers. Wii U sold 40k in May and April, 80k in March, 90k in February and 60k in January. Unfortunately it's almost impossible to get European figures as there's so many countries. It's very optimistic to assume it's done the 500k since March to take it to 10 million however. Since March it's sold 140k in Japan, 80k in North America and they keep saying Europe is it's weakest market. @IceClimbers 50k digital is really good. Famitsu release digital numbers every few months and most titles sell less than 5% of their sales digitally. @Peach64 - Can we safely assume Wii U sales are at about 9.7 to 9.75 million at this point then? Splatoon continues to do well and has probably pushed as many Wii U's as any other title since launch in Japan. NPD numbers for June will be interesting. I wonder if US numbers will be as positive for June? I wish we got commercials like this...and I don't watch tv. Strange this wasn't at E3. Its coming to Europe too, or what Nintendo?! @BLPs - A day late, but I like to give my synchronicity some leeway. @aaronsullivan - Here's my sleep depraved insanity from earlier today about the NX. The more tired I get the better it looks though. NX is a platform just like Ninntedo said it was, similar to Ubisoft's Uplay for people to keep track of all their games on all the different hardware the games will be on after they go 3rd party. NX can still have a hardware component, but think Pokedex, not home console. Maybe it will be a Gamepad type controller that works with PS4, X1, Amazon Fire TV and tablets to play downloadable VC games. "Platform" means something, it won't just be another home console.